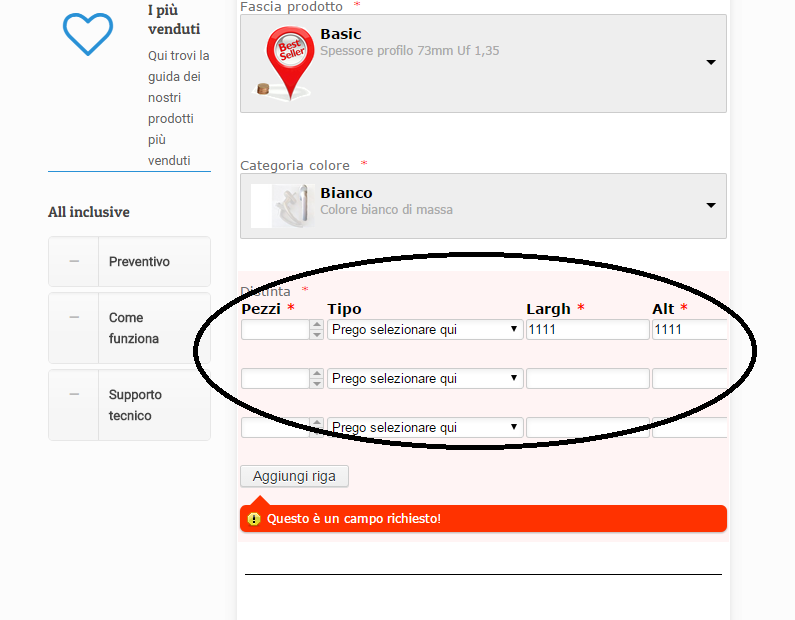 Is there a way to make Configurable list responsive? Is there a way to make the list responsive? I can see it i not resizing properly, but since this is a custom CSS code of the widget, we can not make it exactly mobile responsive as you would be able to do so with the classic fields. Basically we could come up with the CSS that would show the fields in a more presentable manner, but it would require that you add all of the fields into the Configurable list since any new changes will affect it. Once you do, do let us know and we would be happy to give you the CSS that would make it more presentable even on a mobile version. 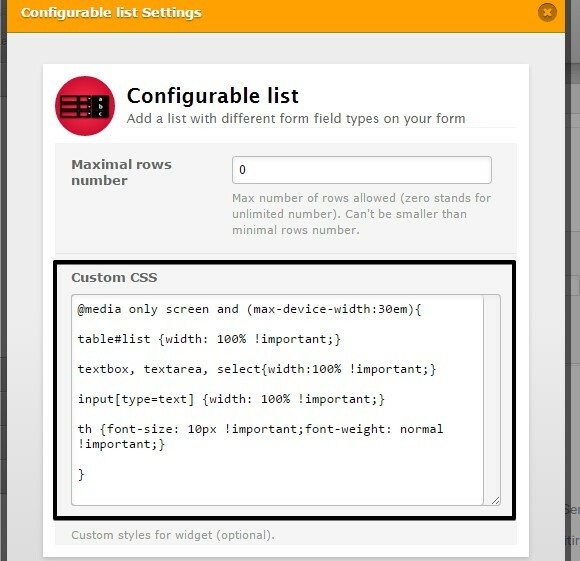 As you have already noticed the configurable list does have a custom CSS section in which you can enter the code. Let us know if you need further assistance or have any further questions about this matter.